Each puppy born into the CPL family has a big and bright future ahead of them. It takes A LOT of training to become the beautiful, well-mannered services dogs you see in public. Two years of training to be exact and each puppy spends their first year of life with a volunteer puppy home. Puppy home volunteers come from the community and from the ten different correctional facilities involved in our Prison Puppy Raising Program. These volunteers have the rewarding job of raising, training, socializing, and spoiling a puppy for their first year of life. The volunteers are responsible for socializing their puppy in public at least once a day, attending obedience classes provided by CPL twice a month, taking the puppies to veterinary visits, completing monthly reports, and providing the puppy with a healthy, loving, and safe environment. 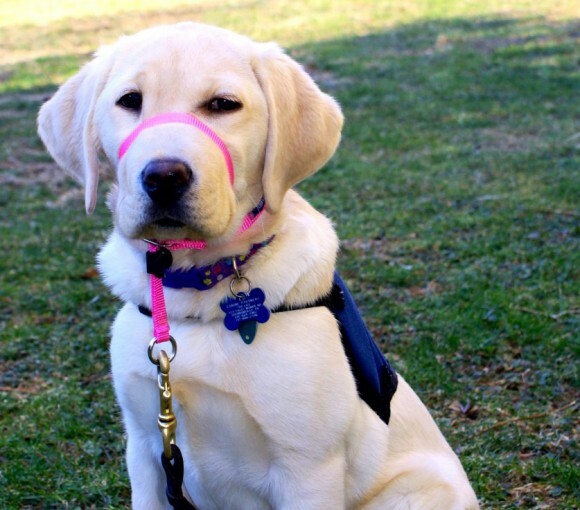 74 puppies are currently in their first year of training at CPL and we are always in need of more volunteers to help with our puppy raising program. We need puppy homes, temporary puppy homes, and volunteers to help socialize our puppies being raised in prison. We would not be able to continue providing service and companion dogs to individuals in need without the incredible support from our volunteers. SO, today, on National Puppy Day, we ask you to consider becoming a volunteer puppy home and if you aren’t able to volunteer at this time, please help us spread the word about this important service! Click here to learn more about our volunteer opportunities.